PaoMa Shan is the beauty visible from Zhilam Hostel. This mountain is the inspiration for a well-known love song written in the 1900s. The mountain overlooks all of town. 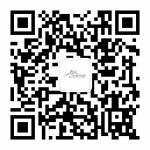 Ask anyone and they will tell you that PaoMa Shan is one of the places to visit while in Kangding. It’s true, it’s quite beautiful and breath-taking as you view the city from the cable car. The small Tibetan Buddhist monastery of Dentok is located on top as well as a small lake and an evergreen forest. Each year in May there is a huge festival called “Walking Around the Mountain” which draws most of the residents of Kangding. There are great hiking opportunities all over the mountain. However, this beauty comes at a price, whether it be financial or physical is solely up to you. The cost of a round trip cable car ticket is 55 yuan and a one-way ticket is 35 yuan. Please be aware that these are subject to change. Once you enjoy the cable car ride to the top, you have to make the decision whether to return back down right a way or dish out another 50 yuan to enter the park. With a student ID you can enter the park for 25 yuan. If you don’t want to visit the park, there isn’t much you can do once you come off the cable cars. The second option, which is physically more demanding than the easy ride in the cable car, is hiking up the mountain on the various paths (see map of Kangding). This option is sure to provide you with beautiful rewards as you view the city from different vantage points. The park itself is very beautiful inside and it may be worth the money to you. As this was my first visit, I found it to be worth the price this time. Once in the park, there is quite a bit to explore. Once you pay the park entrance fee, you receive a postcard-looking ticket. Refer to your ticket for a map of the park. There are two large temples within the park. The first you will encounter immediately upon entry. The second is a golden fortress, called Denton, located further up PaoMa and accessed by two stair paths on either side of the goddess statues. The golden structure and view are both quite a sight. Of course, these two temples are open to the public to go inside for worship or look around, just make sure to take your shoes off! Before entering the arena, there is another building that houses a bathroom, a banquet hall, and a restaurant. Do not depend on getting food on the mountain as there are not many options for purchasing food on the mountain. I suggest you bring along sufficient water and food to fully enjoy your time on PaoMa mountain. The arena is a grassy area where people have picnics and relax. There is also the opportunity to experience a horse ride, which is 20 yuan for one lap around the arena. Another option for 60 yuan takes you on a round trip from the square to the bathing Buddha temple. There is also the opportunity to rent traditional Tibetan clothing at 10 yuan for men and 10-20 yuan for women. If you desire a quick photo while riding the horse, it will cost you 20 yuan. The last option comes at a price of 80 yuan, which allows you to ride the horse downhill. The most popular choice is the lap around the arena. Although the concrete seating area is not especially comfortable, it is a great place to relax and do some people watching. There is also a small man-made pond located on the other side of the arena and it is quite uninteresting. At the time of my visit the large stupa was under construction and I couldn’t view the area except for a quick snap of the-under-construction stupa. As mentioned earlier, there is a washroom in the larger building that is not a temple. There are others scattered throughout the park located in earth-red colored buildings. Just be warned, these bathrooms may be a memorable part of your trip! 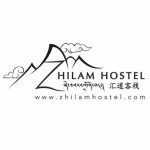 Whatever adventure you choose to embark on, be sure to keep an eye out for Zhilam Hostel and wave to us! In 2016 Lavinia Tanasa came and volunteered with us during the summer. She helped us with teaching our staff English, writing blog posts and editing an English training manual. Lower Path:For a free and beautiful walk on PaoMa Mountain, find your way to the first pagoda, the one furthest to the right when facing the mountain from Zhilam Hostel. Then take the eyebrow path across to the second middle pagoda and finally on to the third pagoda, the small round one furthest to the left. From the last pagoda, walk down the steep path into town, ending at a beautiful monastery just above town on the mountainside. Our two daughters enjoying a horse ride at the top.